At last, some good news on the injury front. #NEBHInjuryReport: Jaylen Brown (concussion protocol) is progressing, according to Brad Stevens. Brown won’t play tonight but could play early in the road trip. 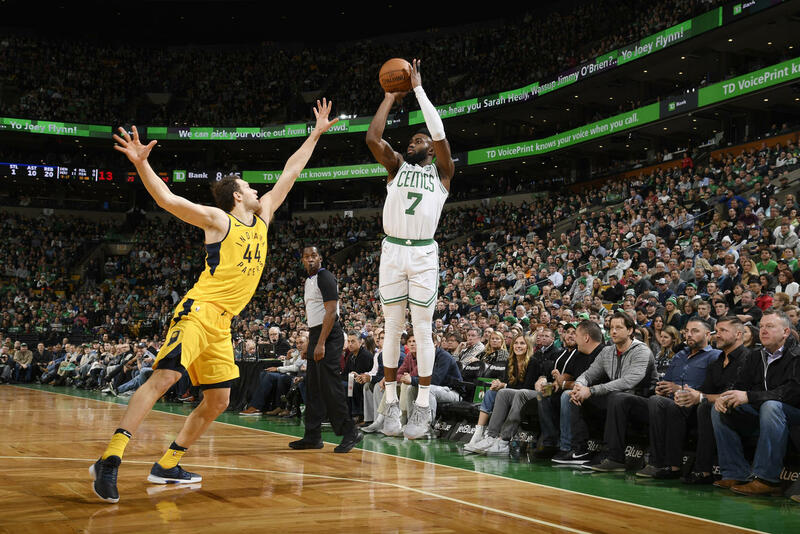 The Boston Celtics report Jaylen Brown is progressing in the NBA's concussion protocol after missing nearly two weeks, having taken a scary fall playing the Minnesota Timberwolves on March eighth. While he won't be available in tonight's game against the Oklahoma City Thunder, news of Brown's return is most welcome on the heels of word point guard Kyrie Irving's knee is not progressing, causing him to seek a second opinion. #NEBHInjuryReport: Kyrie Irving will seek a second opinion on his sore left knee and may not travel with the team for the upcoming road trip. Jaylen's aggressive, high energy play has been missed considerably over the stretch of his absence, with the Cs dropping three of four games since Brown was hurt. For Boston to avoid another multiple-game skid, Jaylen's presence will almost certainly be needed, especially with the team down Marcus Smart and Daniel Theis in addition to Irving and Gordon Hayward. It can only get better from here...right?